We all have had moments where we want to look at God and say, "Seriously? Where did that come from?" Whether it's something big and tragic, or just getting stuck behind that lady that wants to drive 25 in a 45, our life is full of moments where we can doubt God's Romans 8:28 promise that "in ALL things God works for the good of those who love Him, who have been called according to His purpose," (ESV). Sometimes what He's doing just doesn't feel good. And sometimes that silver lining just isn't there. Paul, Silas, and "no silver lining"
In Acts 16, Paul and Silas were thrown in prison for performing a miracle. They freed a slave girl from a demon - something good, right? (i.e., doing ministry! doing what they had been called there to do!) But the response to that good didn't feel good. They were beaten and thrown in prison. The inner prison. The spot that was probably treated more like a sewer than anything else. They were shackled, making their injuries even more uncomfortable, and the jailer was under strict orders to keep them guarded. (Acts 16:16-24). But they knew that God's plan were for their spiritual good...and also for something bigger. This moment would have me feeling left by God, abandoned even though I had been obedient. "What about a reward for faithfulness and obedience? We were here for Your ministry, God!" But instead of feeling salty, what were they doing? In Acts 16:25, Paul and Silas were singing hymns and praying. They were refusing to be discouraged by their circumstance or embittered by their wounds. 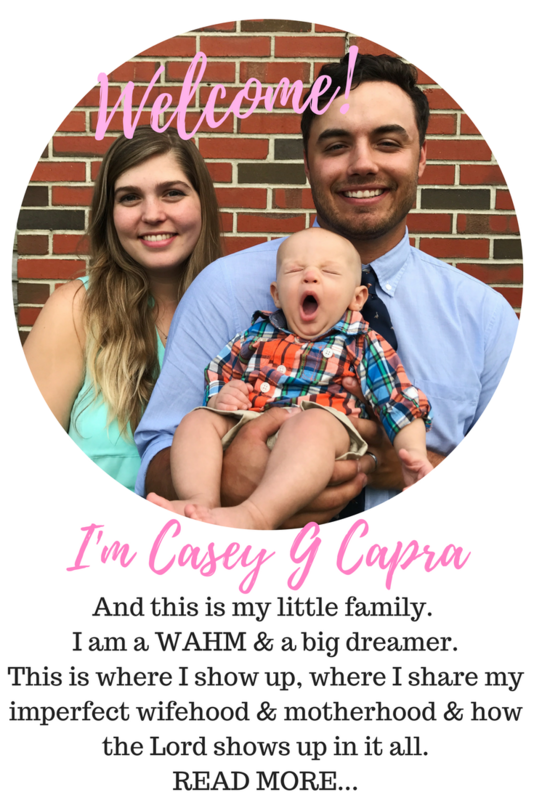 They knew that ultimately God's plans were bigger than them. This was all they needed to keep their faith alive and thriving. Suddenly, Acts 16:26, an earthquake! Maybe this was it!? God's miraculous way of saving them, to give testimony and build the faith of the saints! That must have been why He sent them there. God's plans were even bigger. But they hadn't escaped. They hadn't walked out. They had realized this was it. This is why they were here, in this smelly, horrible, place while their wounds bled and bruised up. God wanted to reach a man who worked in the inner prison, and knew Paul and Silas were the folks to send there. As a result of their faith, that jailer would be in contact with some of the hardest-to-reach people in the world, available to minister to them and tell them of the wonders he saw that night. As a result of their faith, God's glory was magnified on the earth just a little bit more. 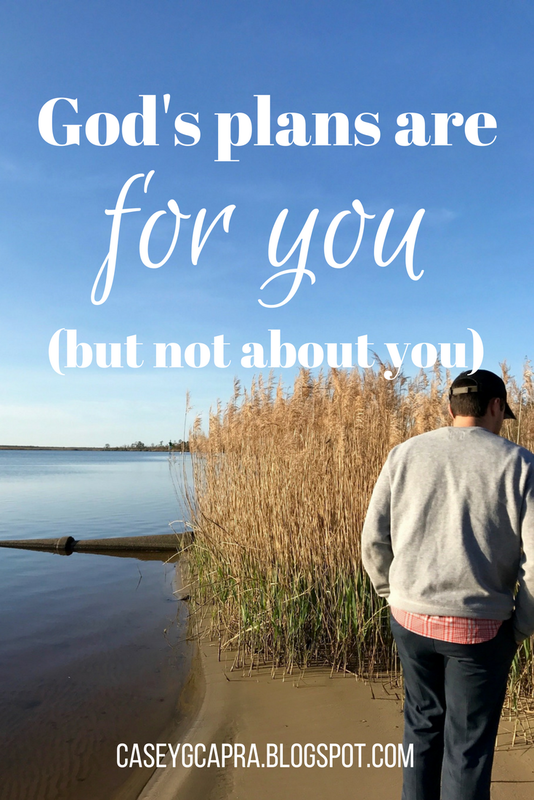 God's plans are for our good...and more! Romans 8:28 is still true. God's plans for Paul and Silas were for their good! Everything God does is for our good. But it's not just for our good. God's plans do not stop at taking care of His kids, they go beyond that! He has a whole family to bring together. He has people who need to hear your story, your story about how God lead you through your pain and trials and never left you. His plans would be very small if they only involved our good and our good alone. Maybe you hate your job. Maybe you don't have a job. Maybe you're a student, the type who gets in and out of your classes as fast as possible. Maybe you're "just a mom." Maybe you can't understand why God has you where He has you. In these situations, we can be 100% sure of 2 things: 1) that where you are is for your benefit and 2) that where you are is for the benefit of the world. Even when days seem small or mundane, He is accomplishing something. He's preparing something. Maybe He's just waiting for your complaining to turn into hymn-singing so He can break down some walls! He has jailers to reach right where you are. He has people to bless and faith to build. God has big work to do through our lives when we let Him, when we can stop looking at our circumstances for reasons to doubt Him and instead just trust that He always knows what He's doing. Next time there's a situation in your life that makes it hard to believe that God is working for your good... ask Him what He's up to! Because there's something happening. 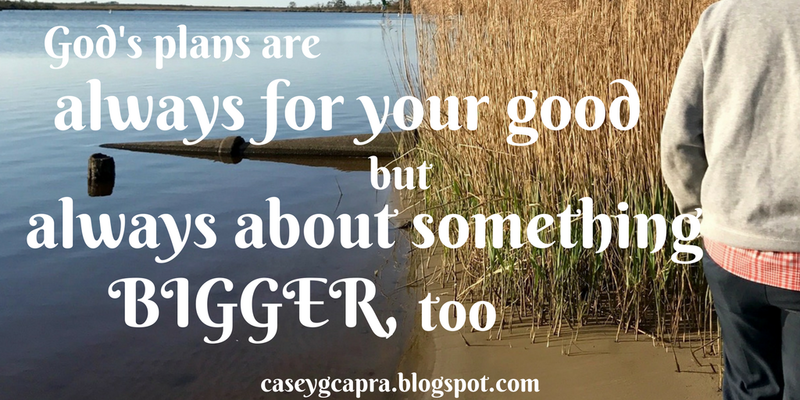 Who's the jailer in your life? Who's the person that God has you in a unique position to reach? Where do you need to start looking for God's bigger plan in your life? Visiting you from Sitting Among Friends. Yes, this is something we so easily lose sight of. His ways are higher than ours. He is doing more than we can ask or imagine. This post is very encouraging. Thank you. May your soul be refreshed in our heart-satisying Lord.